The greatest thing about today's men figure skating is that there are no real frontrunners, but just a multitude of exeptional skaters. Patrick Chan entered 2012 Worlds unbeated all season and even if he wasn't perfect, he managed to win the title (deservingly so in my opinion), but now things have changed. Patrick has won just one international competition this season, and even there he didn't seem as technically refined as the previous years. Despite the beauty of his skating, he hasn't nailed his programs yet. A reason that explains why he looks weaker than he used to be is that the whole level has grown very much, and that is also thanks to him. Above all, the Japanese men who were with him on the podium in Nice came back this season stronger than ever. If Yuzuru Hanyu was a unexpected world bronze medalist this year, he gave the public a even bigger surprise when during the grand prixs he settled himself as the top contender. He is not a very consistant skater, but his short program is so strategically built that he can afford some mistakes in the free and yet have a great score. He is even more successfull than his compatriot Daisuke Takahashi at the moment as he beated him three times out of four they competed together. Daisuke Takahashi has had a rollercoster season so far. He won Grand Prix final and had a gorgeous free skate performance at Japanese nationals but later in the season,he came in seventh at Four Continents. His outcome at worlds will be hardly predictable but it will surely be a favourite for a medal. 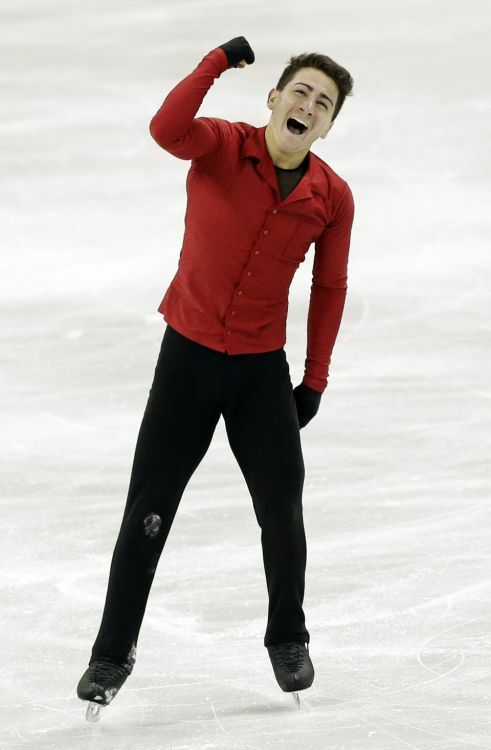 Javier Fernandez made his country's history by being the first Spanish men to medal at European Championships. His golden performance in Zagreb was absolutely stunning, filled with three quads and gorgeous artistry. He owns the best free skate score of the season (almost ten points higher than Hanyu and Takahashi) and if he overcomes pressure as he did at Euros, gold is likely in his hands. Even if the medal contention will likely be between the four men mentioned before, these two can't be forget. Max Aaron won US Championships this year beyond any expectations and qualified for the first time for worlds this year. He placed well at Four Continents too, where his quads took him to fourth place. He is very good technically, but he still needs to improve his presentation of his programs. Kevin Reynolds win at Four Continents was a real shock. When he rotates his quads, his score get very high and that's what happened at Osaka. I really hope Javier will win!